Consumer Expectations Grow for 2014 as Consumer Confidence Improves during December. Endura Financial Federal Credit Union Supports Consumers in Minnesota. 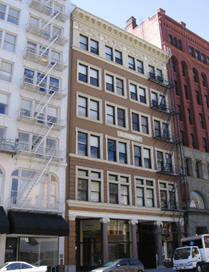 American Consumer Council Completes Regional Office Expansion for 2013 with New Offices in Oregon and Massachusetts. US Postal Service Federal Credit Union Delivers on Consumer Loans. Consumer Expectations for 2014 Improve as Consumer Confidence Increases. 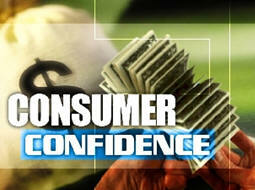 Consumers are more hopeful for an improved economic climate according to the American Consumer Council. A recent poll by ACC was supported by The Conference Board, which reports that its Consumer Confidence Index® rebounded in December to 78.1 (1985=100), up from 72.0 in November. According to ACC’s December 8-12 poll of 1,542 members, consumers expressed a greater confidence in their economic growth in 2014 – up 6 percent from last year -- and improved job prospects for 2014 – up 7 percent from last year. However, the poll suggests that consumers are “not expecting a significant increase in their personal income for 2014” with only 24% stating that they will “earn more money in the new year.” Some 42% indicated their income will remain the same. Currently led by William H Yarborough, the U S Postal Service FCU has grown its membership to over 23,000 with assets of more than $205,000,000. They have 60 employees with a main office in Clinton, Maryland and 7 branch offices located around the greater Washington, D.C. area as well as Mission Hills, California; Raleigh, North Carolina; and, Pittsburgh, PA. The U S Postal Service offers its members a full service website that allows for true "Banking From Home" functionality. Users have the ability to apply for loans, get account balance and history reports, transfer money between accounts, make bill payments, and so much more. 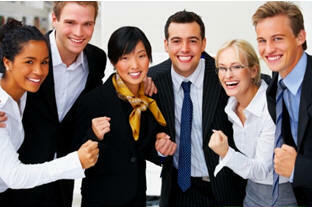 Members can also take advantage of a full array of loans including real estate, business and new and used car loans. There are also many types of mortgages and credit cards available. American Consumer Council Adds 2 New Regional Offices in Oregon and Massachusetts. The American Consumer Council (ACC) has added two new regional offices in Springfield, Massachusetts and Beaverton, Oregon to bring its 2013 regional office expansion total to 9 new offices including: Hartford, CT; Silver Spring, MD; Lexington, Kentucky; Atlanta, Georgia; Little Rock, Arkansas; New Orleans, Louisiana; Tampa, Florida; San Antonio, Texas; and, Columbia, South Carolina. ACC continues to operate its three national service centers in Newark, NJ; El Segundo, CA; and the Washington, D.C. area. ACC is headquartered in San Diego, California.. 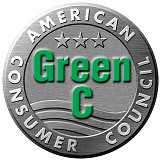 The Pacific Northwest Consumer Council office will also serve as ACC’s Northwest Regional office located at 11240 SW Allen Blvd., Suite 200, Beaverton, OR 97005.